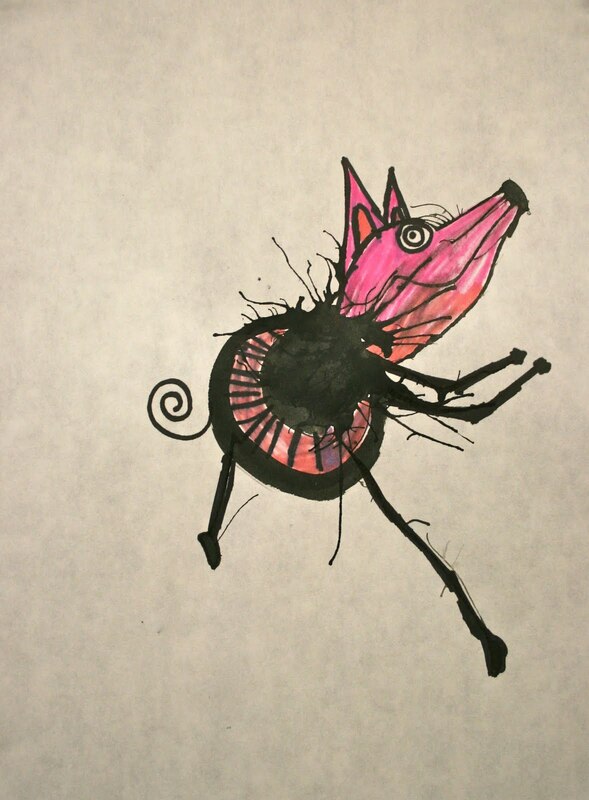 The fourth graders at FMI have really enjoyed learning about artist Stefan Bucher and the creative process used to create his "Daily Monsters." 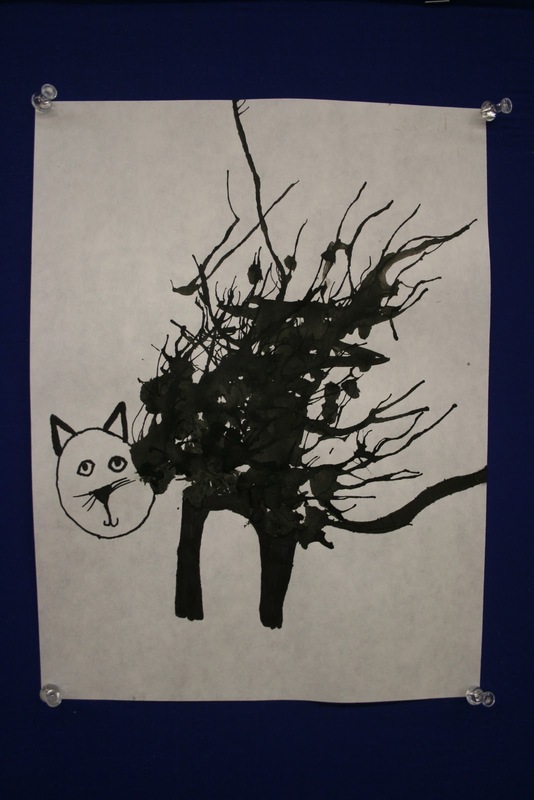 We used black india ink with a soda straw to blow ink across our paper and produce our own "Fourth Grade Monsters" The results are fantastic! Students have named their monsters and a few are even writing poems and short stories about them. I am in the process of making a photo book of their work to keep in the art room. I will be sure and post when it is finished. This looks amazing! 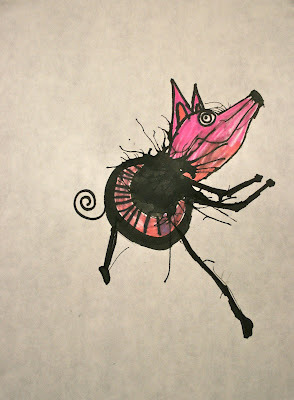 I unfortunately have a carpeted art room (grrrrr....) I am thinking India ink + straws might not be good idea. Maybe thinned down black tempera would work? Thanks for posting and introducing this cool artist.